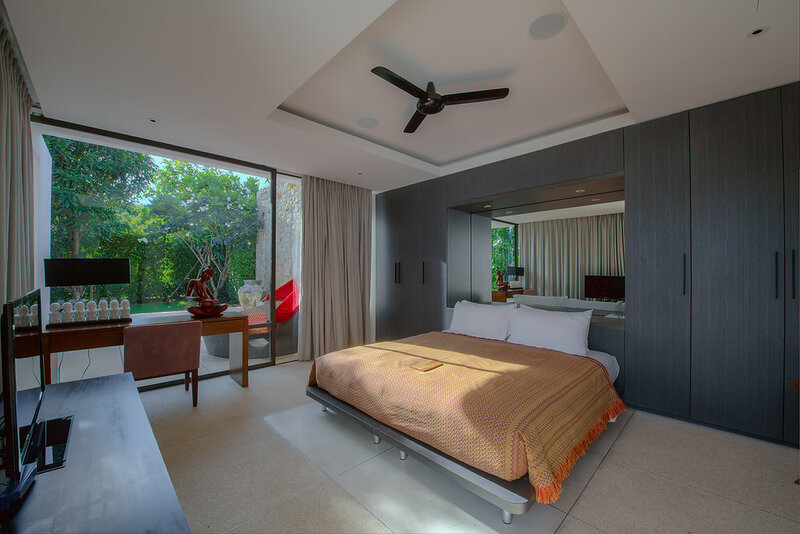 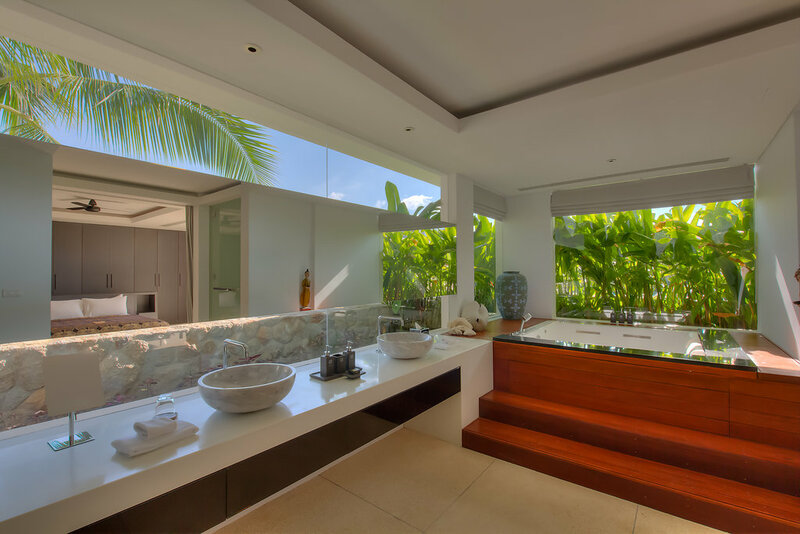 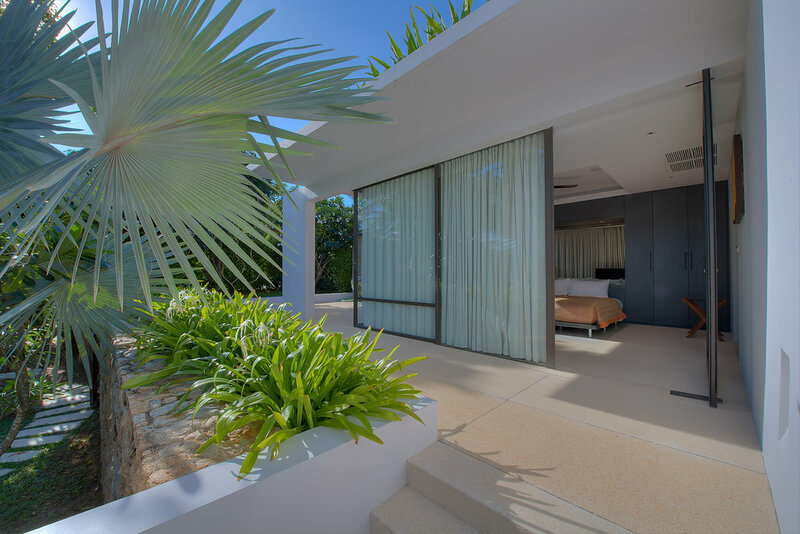 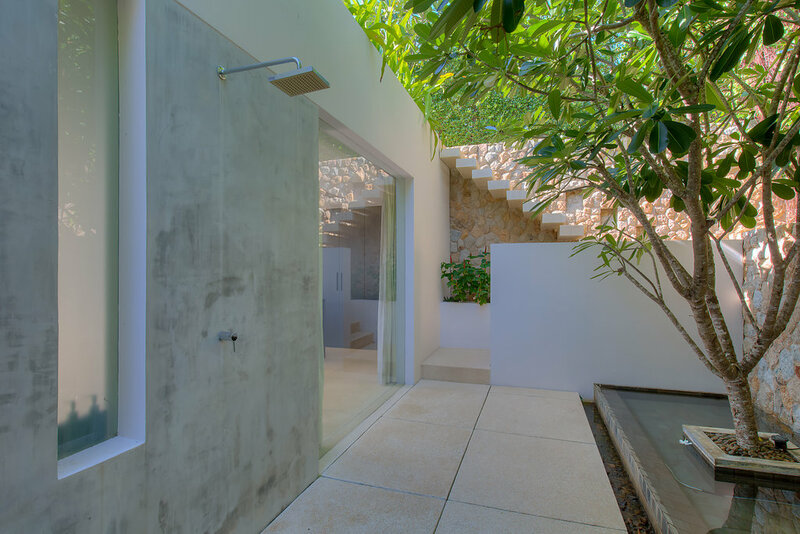 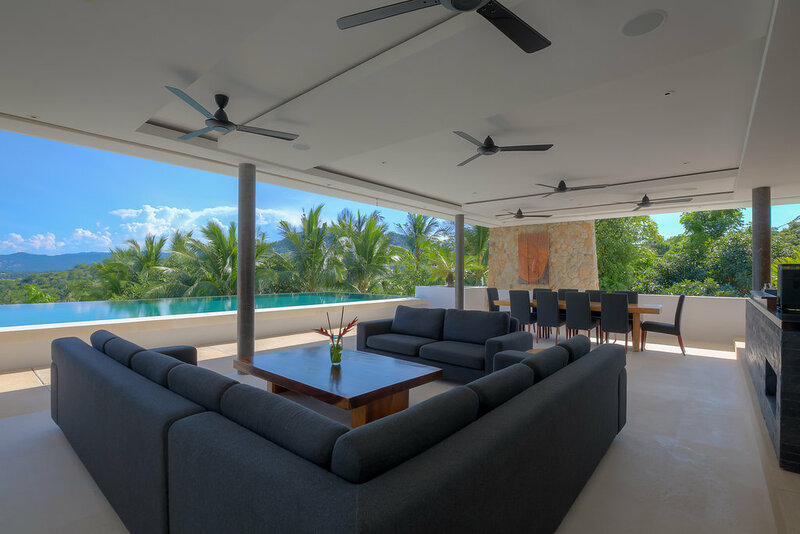 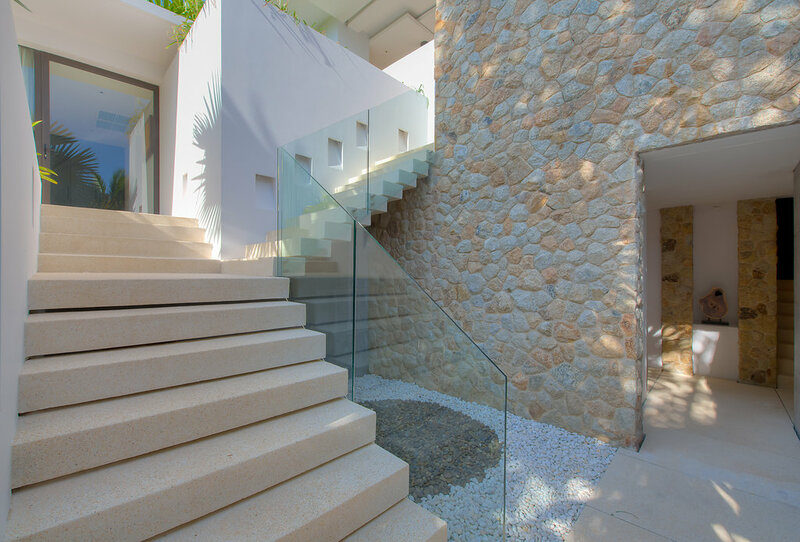 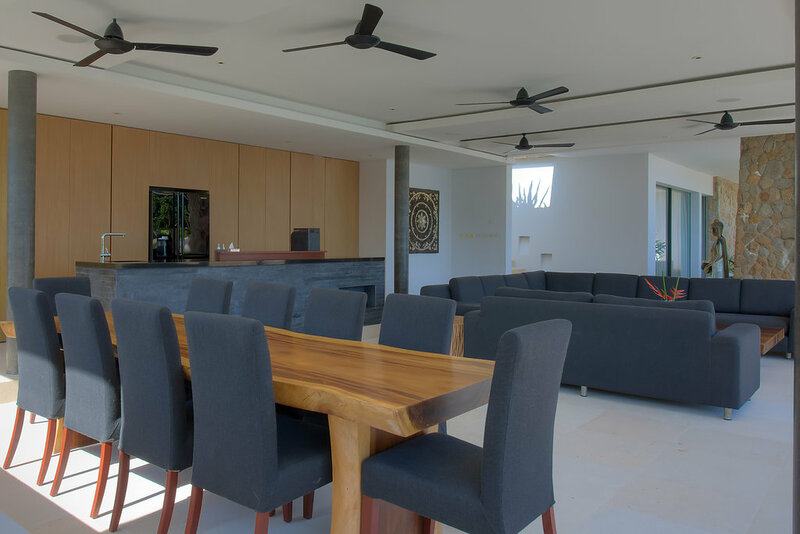 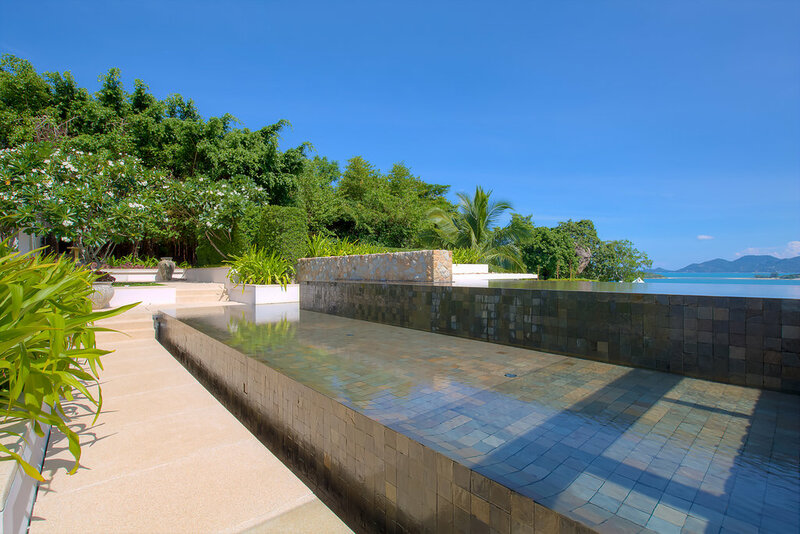 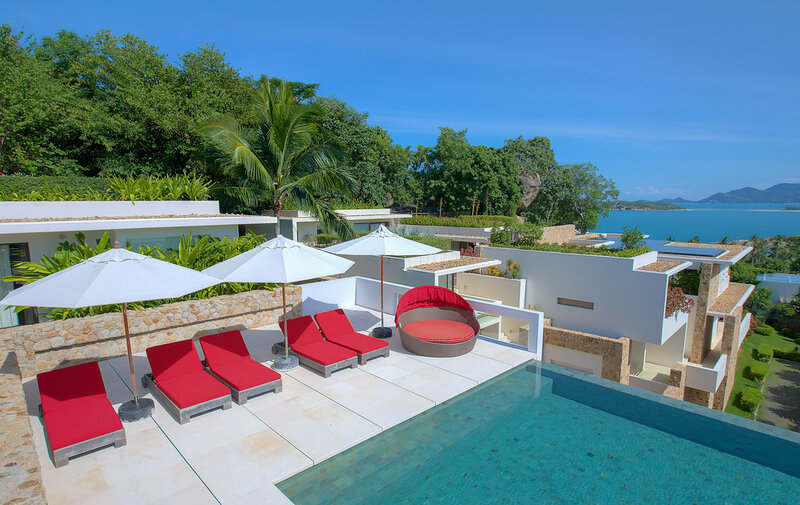 This spectacular villa is located in the north-eastern corner of Koh Samui and overhanging the bays of Choeng Mon and Plai Laem. 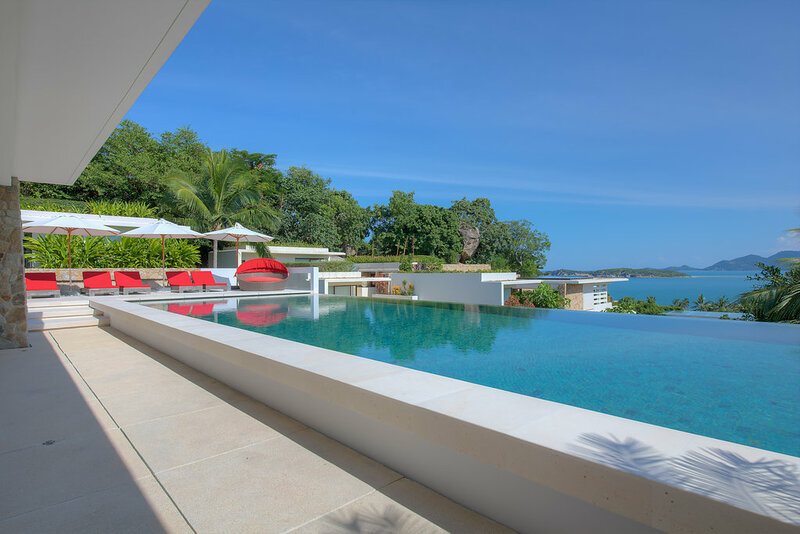 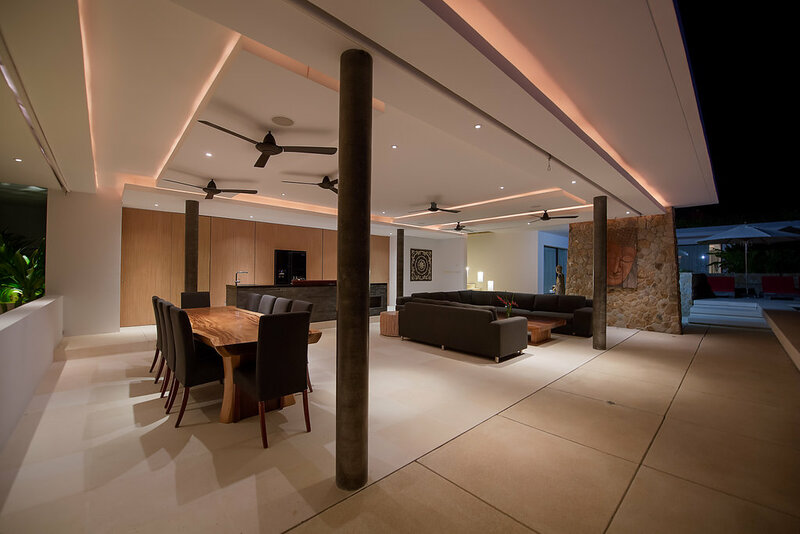 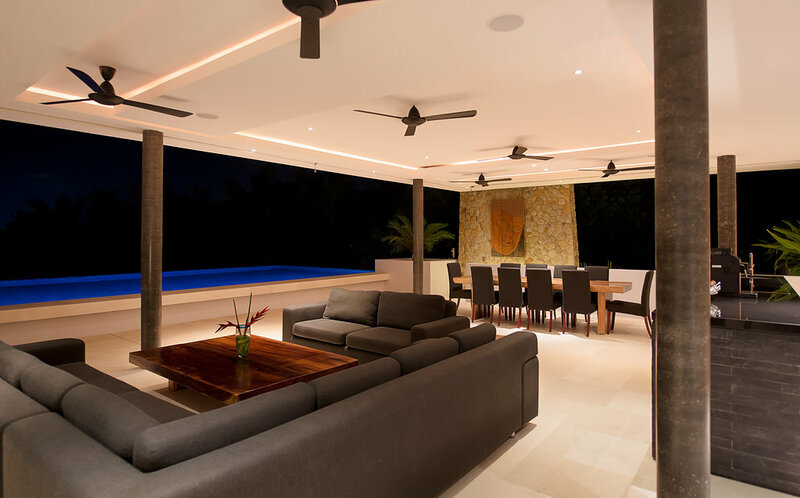 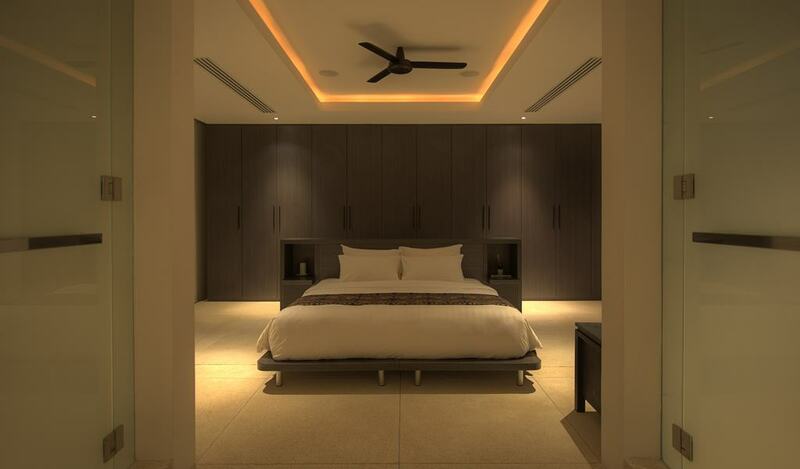 This perfect holiday villa boasts breath taking views, and lights up beautiful in the dark. 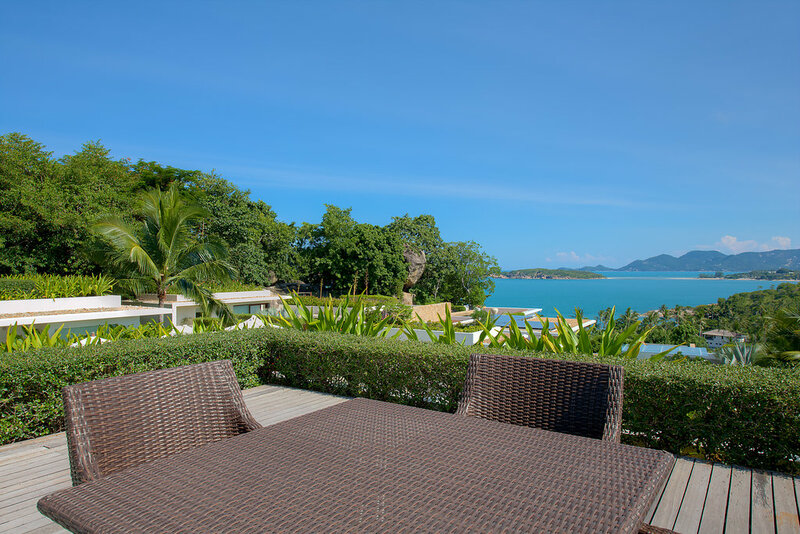 The beach is a few minute walk away and there is plenty of restaurants and entertainment around. 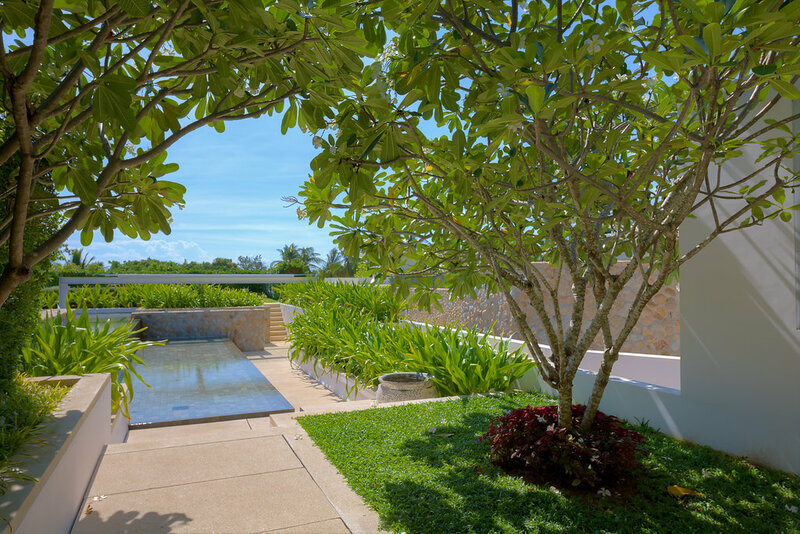 Let's live a unique experience admiring the beauty of Thailand, its landscapes, villages, its culture and tourist attractions such as the Big Buddha in close proximity. 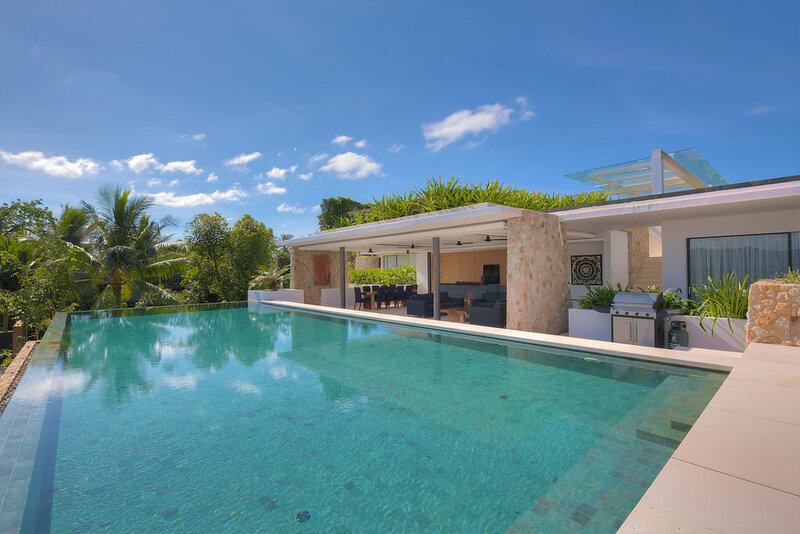 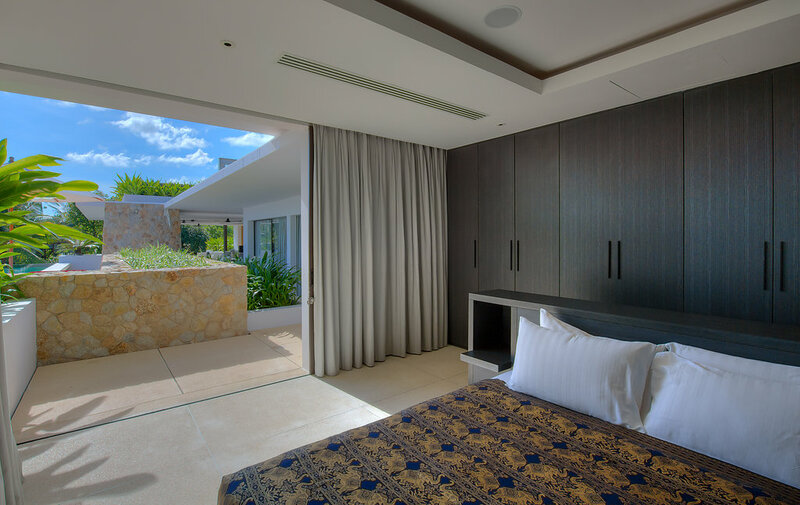 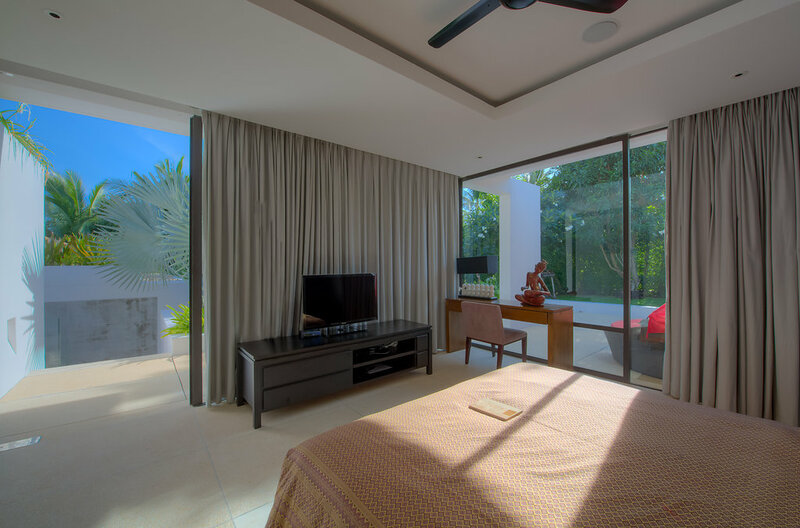 This spectacular villa offers four large, en-suite bedrooms, three with king-sized beds and one with twin beds; making this recently completed villa the perfect choice for families. 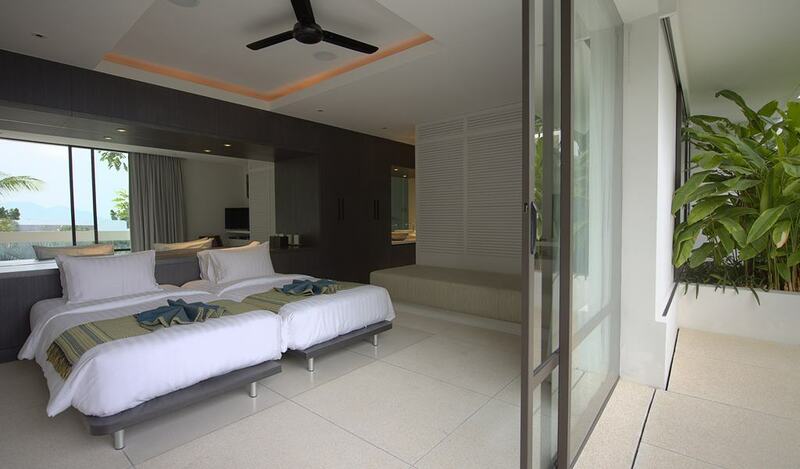 The villa is large and spacious and offer a lot of room for relaxation. 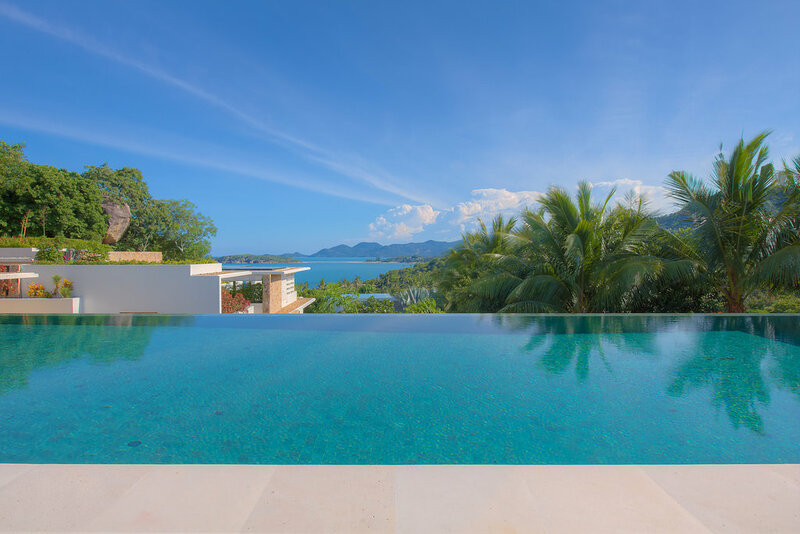 The open-air lounge and dining area looks out over the large infinity edge pool with stunning views across the glittering bay and the ocean. 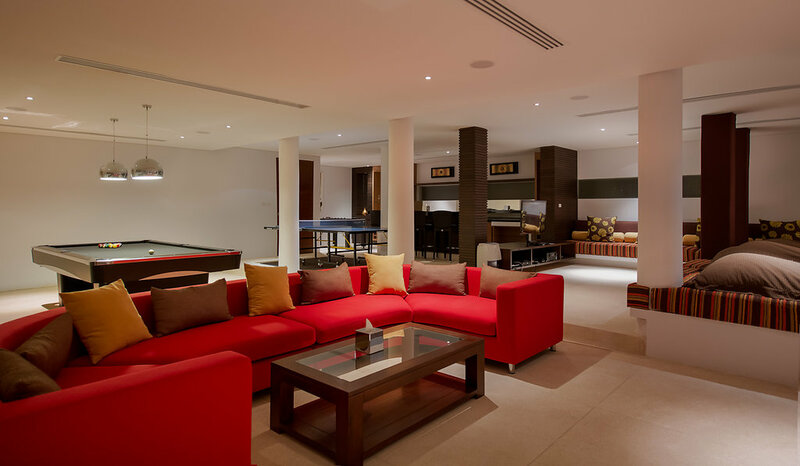 Two sun decks keep sun worshippers content while the massive underground entertainment lounge features a ping-pong table, pool table, cocktail bar and indoor play area for the kids, complete with built-in slide. 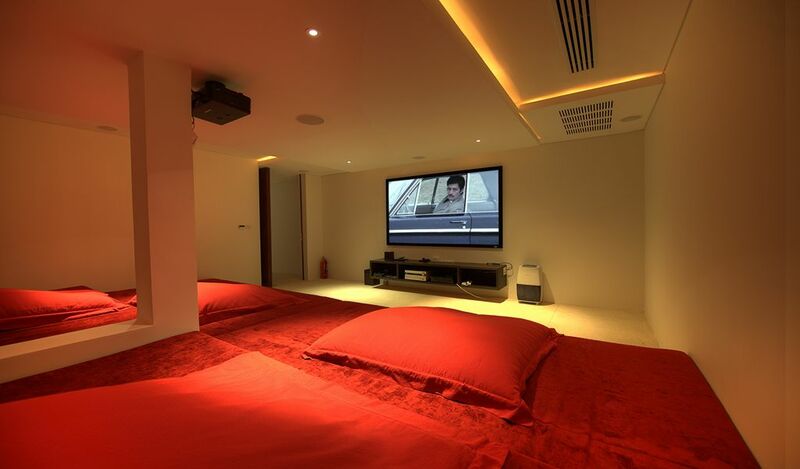 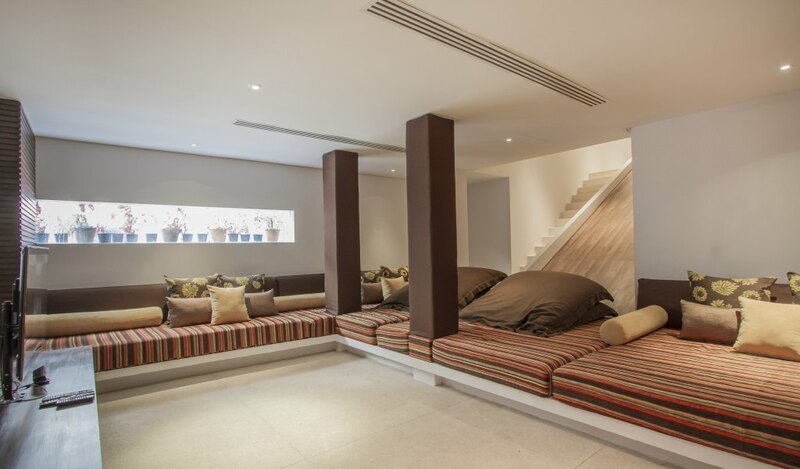 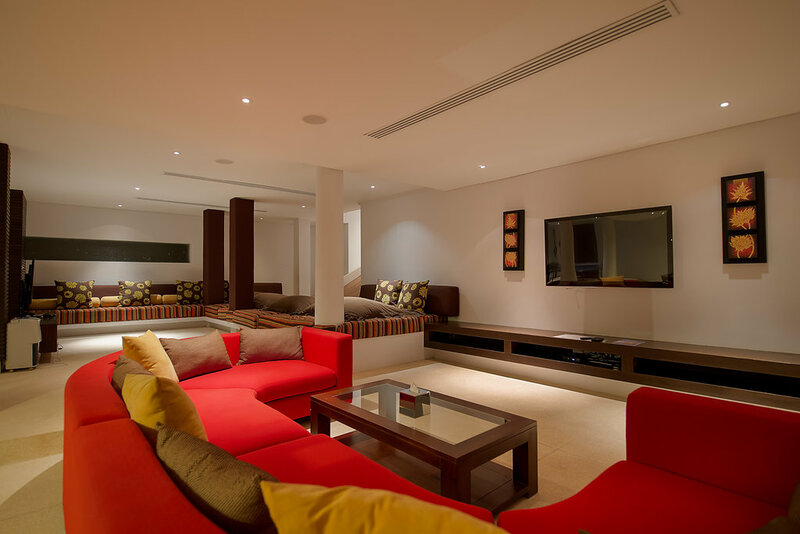 Last but not least, the villa has a stunning, ultra- comfortable private cinema.